Customer Relationship Management (CRM) is amongst the most valuable systems that businesses can implement. Enterprises have realized that fastest way to increase sales and profits is by investing in CRM and using it to put the customer at the heart of their business. A CRM brings together the customer information that can be translated into meaningful data and acted upon to develop and improve customer relationships. 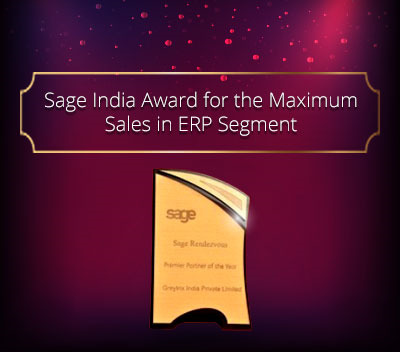 Sage CRM – an industry leader, offers end to end visibility of business processes and a single console view of your customers thereby accelerating sales, business productivity with targeted marketing. 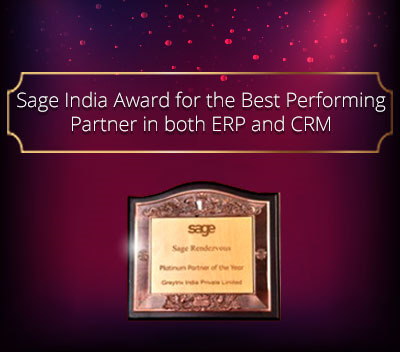 Greytrix, a Sage Gold Development Partner for Sage ERP and Sage CRM needs is now recognized as a Rockstar Certified ISV Partner for GUMU™ Sage CRM – Sage Enterprise Management integration. What’s new in Sage CRM 2017 R1? When the number of your customer records, quotes, orders, and interactions increases day by day it becomes difficult to track the required information. 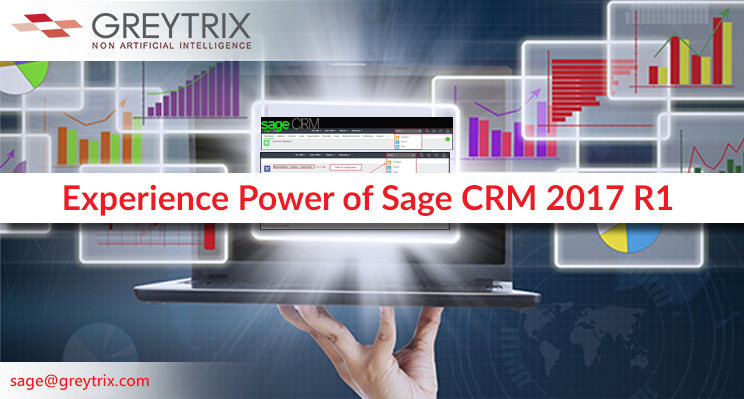 Extending the core functionalities of a customer-centric view and ensuring faster response time, Sage has infused new features in the latest Sage CRM 2017 release. 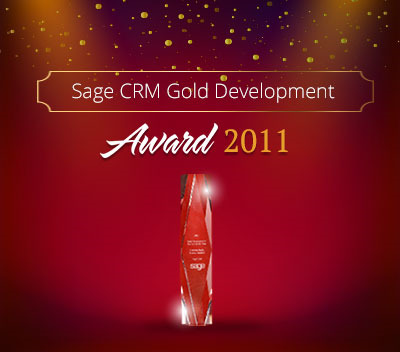 Sage CRM integrated to your Sage accounting system offers extra features to improve sales, marketing and service. The key highlights of Sage CRM 2017 R1 include Enhanced Calendar and Optimized Navigation and Search Features. Updated top bar –The top bar now includes a Favorites list, Notifications list, Recent List and an Account option that is displayed on the top right corner of your Sage CRM dashboard. This can be used for accessing your favorite records, active notifications and recently viewed records. New Quick Find – The new search functionality offers quick and easy access to customer information. To perform a search across all entities including standard and custom entity records at once, enter key terms in ‘Search’ on the top bar. Improved Notifications – Easily view your important tasks, appointments, workflows and system alert with the latest update to the notifications feature. Simply click on the icon to display all the notifications. Enhanced Recent List – With the Recent List feature in Sage CRM 2017 R1, you can easily expand and collapse the recently viewed records and access them easily. New Favourites Feature – The latest display update of Favourites feature in Sage CRM 2017 R1 allows you quickly view the information that is important to you. Click the new icon to view a list of your favorite items. New Stuff: Sage X3 Version 11 – What’s in it for your business? Enhanced Calendar – In the latest release of Sage CRM 2017 R1, the updated calendar is an intuitive design with a modern look making it easier to manage your day to day meetings and appointments. Please note that year view and month view are not available in the new calendar. 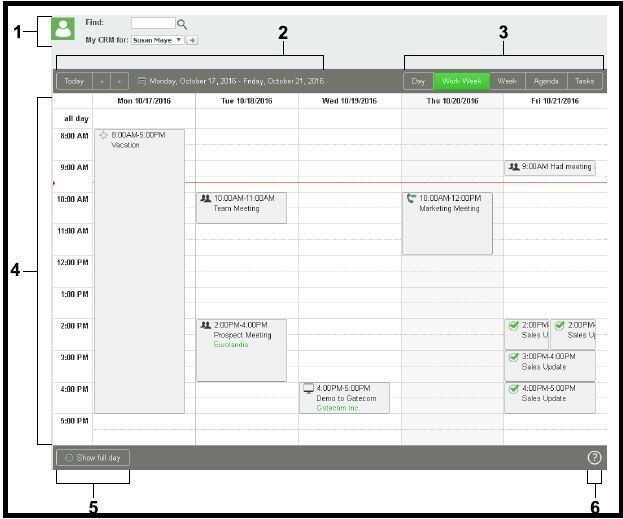 Allows you to select the user or team whose calendar you want to view. Allow you to move between days or weeks in the calendar. The way navigation buttons work depends on the selected calendar view. Displays appointments, tasks, or both, depending on the selected calendar view and configured filter settings. The red line indicates the current time of day. Full day – Displays appointments scheduled for all 24 hours of the selected day or week. Business hours – Displays appointments scheduled for the business hours of the selected day or week. 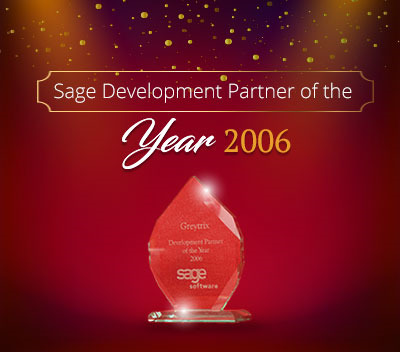 Web-based help – Help files were removed from the Sage CRM installation package to reduce its size. 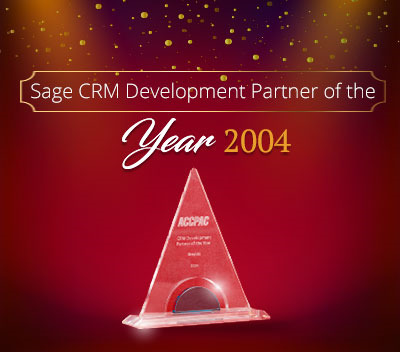 Now when a user clicks the Help button within the product, Sage CRM displays help files hosted on dedicated web servers. To access these help files, client computers must have access to the Internet. You can change this default behavior by installing help files locally on your Sage CRM server. Secure email connection – In Sage CRM 2017 R1, you can configure Sage CRM to use Transport Layer Security (TLS) and establish a secure connection to a mail server. This lets you use Sage CRM with public mail services that require a secure connection such as Exchange Online, hosted Exchange, and Gmail. Contemporary theme – The Contemporary theme is the only theme available on a new installation of Sage CRM 2017 R1. When you upgrade Sage CRM to 2017 R1, all themes that existed in the previous version of the product remain available in Sage CRM 2017 R1. Customizations to the Contemporary theme or newly created themes are not supported.